Mitral annular calcification (MAC) and associated calcific mitral stenosis (MS) are frequent in the aging population, although optimal management remains debated and outcomes are poor. 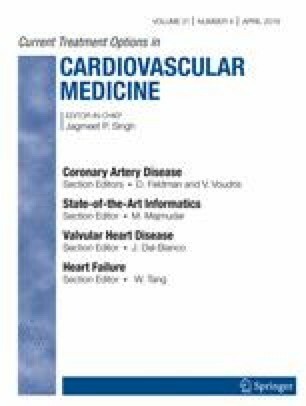 This article summarizes challenges in the diagnosis and therapy of calcific MS, the indications for valve intervention, procedural concerns, and emerging treatment options. Surgical mitral valve replacement is the procedure of choice in symptomatic patients at acceptable surgical risk, with transcatheter mitral valve replacement (TMVR) being evaluated in clinical trials as an alternative for patients at prohibitive surgical risk. Significant challenges exist with the currently available technology and outcomes have been suboptimal. Optimizing the patient-selection process by using multimodality imaging tools has proven to be essential. MAC and calcific MS is an increasingly prevalent, challenging issue with poor outcomes. While surgical valve replacement can be performed in patients with acceptable surgical risk, TMVR can be considered for patients at higher risk. Clinical trials are underway to optimize outcomes. Dedicated device designs and techniques to minimize risk of left ventricular outflow tract obstruction, paravalvular leakage, and device embolization are to be awaited. Khalique OK, Hahn RT. Multimodality imaging in transcatheter mitral interventions: buzzword or modern age toolbox? Circ Cardiovasc Imaging. 2016;9(6). https://doi.org/10.1161/CIRCIMAGING.116.005071. Murphy DJ, Ge Y, Don CW, Keraliya A, Aghayev A, Morgan R, et al. Use of cardiac computerized tomography to predict neo-left ventricular outflow tract obstruction before transcatheter mitral valve replacement. J Am Heart Assoc. 2017;6(11). https://doi.org/10.1161/JAHA.117.007353. Izzo RL, O'Hara RP, Iyer V, Hansen R, Meess KM, Nagesh SVS, et al. 3D printed cardiac phantom for procedural planning of a transcatheter native mitral valve replacement. Proc SPIE Int Soc Opt Eng. 2016;9789. https://doi.org/10.1117/12.2216952.